I’m tired of low fat; I’m tired of fat free. I’m tired of thinking rice cakes are good; they’re not the same as Oreos! I’m tired of trying to be creative in my thinking, my eating, my living, and I’m tired of dreading the holiday season. In fact, I’m just plain tired! The holidays will be here soon enough. I think they actually start right after the 4th of July because that’s when the clothing ads feature sweaters and winter coats. WHO can think of wearing wool when it’s 103! Am I crazy or is the rest of the world nuts? I’m tired of dreading almost half of each year because some marketing expert thinks it would be “cute” to have Jingle Bells echoing through the frozen food section in the middle of August. If I have to start thinking holiday in July, and it takes more than a few weeks to “recover” from The Holiday Season after it’s over, then I really am spending almost half of each year coping with the holiday blues. And I’m tired of that! Most people think the holidays start sometime in November, but for me, they never really stop. I can get depressed any time of year and blame it on the holidays (except for the month of August). There are no holidays in that poor month, but just being August is reason enough to be depressed. My reds and greens can turn to blue at any moment. It only takes a few notes of a song, a whiff of real food (low fat does not smell heavenly) or a trace of a memory to send me into the dumps. We can recycle pain anytime, but somehow, once the displays are up in the stores and the weather turns cooler than before, the downhill slide towards The Holidays intensifies. By November, I’ve run out of options, however, and no matter how creative I am, there is no denying the approach of those days when the rest of the world looks far happier than I have been or will ever be. Even their voices are cheery as we slip past each other on the icy sidewalks! It grows dark at 4:30 in the afternoon, and there is little comfort in a carrot on a wintry day. I’m tired of low-fat substitutes for happiness. I’m tired of bracing for the memories that flood back to better times and for fearing the sights and sounds that only serve to remind me of what isn’t anymore. Can anyone stop the holidays please? Can anyone find a fat substitute that really tastes like mom’s pumpkin pie? Can anyone figure out a cure for the pain of these memories? Probably not. So, as long as we are stuck with the approaching holidays and as long as we remain determined to be healthy and keep up the good low-fat fight, what can we do to turn this season of despair into a season of hope? Where are the beacons of light (recipes?) that make low fat anything acceptable? Handling the holidays is not deciding how to eliminate the fat, the pain, the memories from our lives, but rather, learning how to live with the hurt instead of being consumed by it. Know that hardly anyone is as happy as you think they might be. We all have our hurts to hide. We are always in a hurry. We want things to be better now. Do what you can this season and let it be enough. It will hurt, especially if there is an empty chair at the table. Don’t try to block bad moments. Be ready for them. Lay in a supply of tissues (a roll of toilet paper is more efficient). Anticipation is often far worse than reality. Let those hurting moments come, deal with them and let them go. Leave the word “ought” out of this holiday. Be honest in what you expect to be able to do. We live in a world of oughts and shoulds and suffer from guilt because we cannot meet our own expectations. BE KIND AND GENTLE TO SELF. Figure out what you should do, balance it against what you are capable of doing and then compromise. forgive yourself for living when your loved one died. Find the quiet space within where all the answers live. as you become aware of your needs, tell family members and friends. Keep some traditions; choose which ones. Don’t toss out everything this year. You can always try changing a routine. Try whatever pops into your head. You can always scrap it if it doesn’t work. TAKE CARE OF SELF PHYSICALLY. Eat right (toss some chocolate chips into the oat bran; gift wrap some broccoli; ban low fat for one glorious meal!) Exercise (or at least watch someone else). Jog your memory! HOLD ON TO YOUR POCKET BOOK & CHARGE CARDS. You can’t buy away grief, although you might be tempted to try. Will it be the holidays without it? Why do you do this activity? Tradition, habit, obligation? Do you have to do this, or can others do it for you? How could this activity be done differently? GIVE YOURSELF THE GIFT OF EMOTIONS. Put the motion back into the emotions. Toss a Nerf brick when you’re angry, or pound a pillow. Go outside and yell while you shovel snow. Find a way to express the intensity of your feelings in a personally, non-destructive way. BUY A GIFT FOR YOUR LOVED ONE. Give it away to someone who would otherwise not have a gift. It is the giving, the exchanging of love that we miss the most. When you share love, it grows. HANG THE STOCKINGS; PLACE A WREATH ON THE GRAVE. Do whatever feels right for you and your family. Ride the ferry, visit a soup kitchen or nursing home, spend an evening at the bus station. There are lots of lonely people who could use your love and caring. UNDERSTAND THAT HEARTACHES WILL BE UNPACKED. As you sift through the decorations, appreciate the warm, loving memories of each piece. Don’t deny yourself the gift of healing tears. Make a help-on-a-stick sign and stand on the porch, waving it. Someone will notice (but may not stop). Just because you ask for help does not guarantee you will get some, but if you never ask, no one will ever know how much you might need a hug. LEARN TO LOOK FOR JOY IN THE MOMENT. Learn to celebrate what you do have instead of making mental lists of what you’re missing. Change the way you look at things. Not in memory of a death, but in celebration of a life and a love shared! Never forget that once someone loved us and we loved back. No one can deny that gift exchange! Can anyone stop the holidays please? Can anyone find a fat substitute that really tastes like mom’s pumpkin pie? Can anyone figure out a cure for the pain of these memories? Joy can return to warm your heart. I’m tired of low-fat life, and I’m tired of dreading the approaching holiday season. I can’t live with my entire being focused on fat grams and painful memories. So, since I can’t eliminate fat completely and if I get rid of the memories, I must also get rid of the remembered joy, I’ll just have to do what I can and forgive the rest. The holidays are survivable just as fat is manageable. I’ll have to run a few more miles and shed a few more tears, but I’m not going to let yesterday use up today, and if I do find something wonderful to eat or a terrific memory to cherish, I’ll enjoy them all. I will not allow fat or pain or fear or sadness to ruin the entire season. It may not be the same as before we became health-conscious or bereaved, but whatever it is can be something and that just may be the beacon of hope in this season of despair. Grab the fruitcake and the low-fat turkey and get moving to the rhythms of this holiday season—the season where love and memory lighten the heart and chase the gloom. Skip the fat, shed the tears, light the candle and find the light. Make this holiday season full of lite and light and love: the best seasoning of all! Hold On To Your Pocket Book and Charge Cards. Darcie D. Sims, Ph.D., CHT, Ct, GMS, is a bereaved parent and child, a grief management specialist, a nationally certified thanatologist and pastoral bereavement specialist, and a licensed psychotherapist. She is an internationally recognized speaker and she wrote regularly for Bereavement magazine for fifteen years. 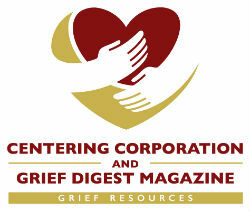 She has been writing for Grief Digest magazine since its first issue.